Without knowing the details you can’t make a fully informed decision. The below information should assist you on your journey and don’t forget never be afraid to ask! Why should I take part in a clinical trial? Are there any potential risks or benefits? A clinical trial is a type of research study that compares the effects of ‘health interventions’ on people – most commonly new drugs or treatments. However, they may also examine the effects of other health interventions such as diagnostic methods, surgeries or procedures, technological devices and educational methods. Clinical trials are the most reliable way of showing whether a new intervention is safe, effective or better than what is already available. What are the clinical trial phases? 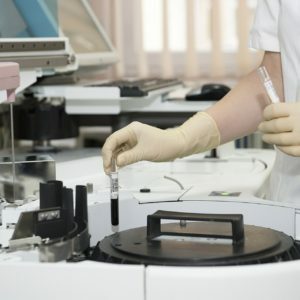 If the pre-clinical laboratory based studies (typically involving human cells or animals) have shown promising results, the health intervention may go to trial stage. Trials should progress through a set sequence of four ‘phases’ to ensure the data collected is reliable and all those taking part are protected. Testing can be stopped at any time in any phase to ensure the safety of participants. A phase 1 trial involves a small number of volunteers (20-80) that may or may not have MS. The aim is to see if a potential treatment is safe for people to use. Once researchers are satisfied that a treatment is likely to be safe in people, it can be taken into a phase 2 trial. This involves a bigger group of people who have MS (100-300), and aims to measure safety and effectiveness. The drug is compared to a placebo (dummy drug) or one that’s already available. Phase 2 trials are used to develop the best dosage, and this is taken forward to be studied in phase 3 trials. If phase 2 results show that a treatment is safe and has a positive effect in people with MS, it can be taken through to a phase 3 trial. The treatment now needs to be tested in an even bigger group of people with MS (1,000-3,000) to confirm its effectiveness, monitor side effects, and collect information that will allow the treatment to be used safely. The treatment is compared to a placebo or, if possible, an existing treatment. The trial can be carried out at multiple clinical sites across different countries. Phase 4 trials take place once new medicines have passed all the previous stages and have been given marketing licences. A marketing licence means the medicine can be made available on prescription. The safety, side effects and effectiveness of the treatment continue to be studied while it’s being used in practice. Clinical trials are vital to making progress to assist those affected by MS. Participants always have their own very personal reasons for taking part, for some it may be to obtain access to new treatments or for others it may just simply be to help the researchers learn more about MS. The clinical trial research team will go through the potential risks and benefits with you in full detail. Make sure you take the time to express any concerns and to ask any questions that you may have. The informed consent process will make you fully aware of these aspects. Before deciding to participate, each participant needs to gain a full understanding of exactly will happen during the clinical trial and this is called informed consent. For further details including your bill of rights review ‘Understanding the informed consent process‘ brochure published by Centrewatch. Clinical trials must be approved by The Ministry of Health’s business unit, Medsafe. Section 30 of the Medicines Act 1981 requires that an approval from the Director- General of Health (given on the recommendation of the Health Research Council) is obtained before a clinical trial involving the use of a new medicine commences in New Zealand. View Medsafe Guidelines on running Clinical Trials in New Zealand. Anyone can take part, however each clinical trial will have a certain ‘criteria’ of individuals that they wish to participate with that specific clinical trial. The MS Research Australia Clinical Trials Network was established to facilitate the clinical trials process for MS in Australia and New Zealand and increase awareness and access to clinical trials for people with MS. The MS Research Australia Clinical Trials Network is a central point of information for people interested in participating in or conducting an MS clinical trial and for news about MS clinical research and trial activity. View web link to view their information on clinical trials in NZ. Clinical Trials will be able to advise you of those recruiting in New Zealand currently. Medicines New Zealand is the industry association representing companies engaged in the research, development, manufacture and marketing of prescription medicines.